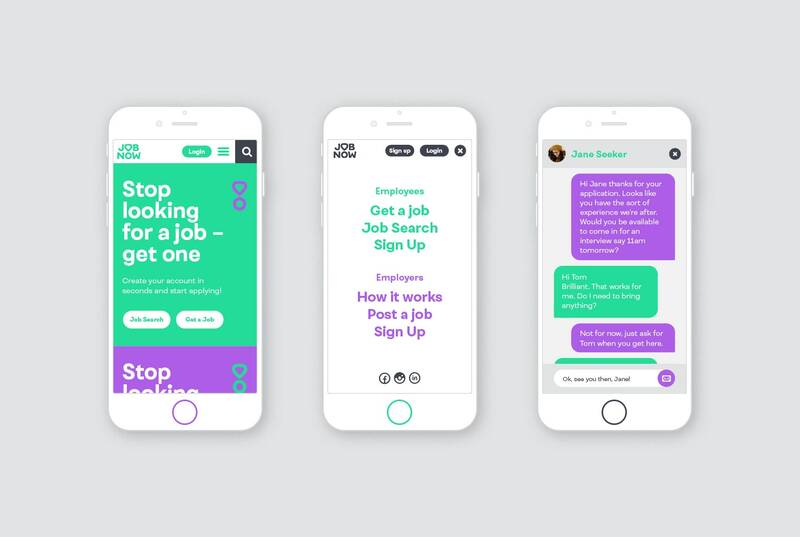 The way people interact with each other has changed a long time ago and it is time to adapt the way we apply for jobs too. 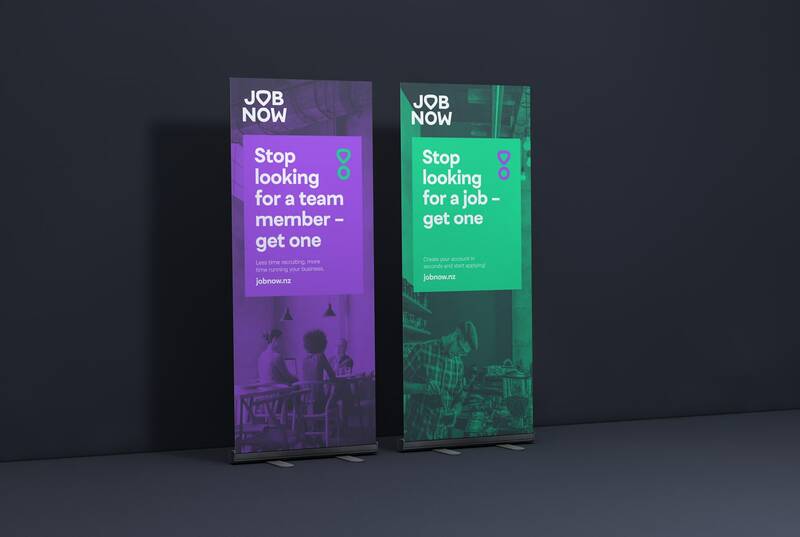 Challenging the traditional job websites, JobNow moves away from the common job board style and provides the user with a complete job platform instead. 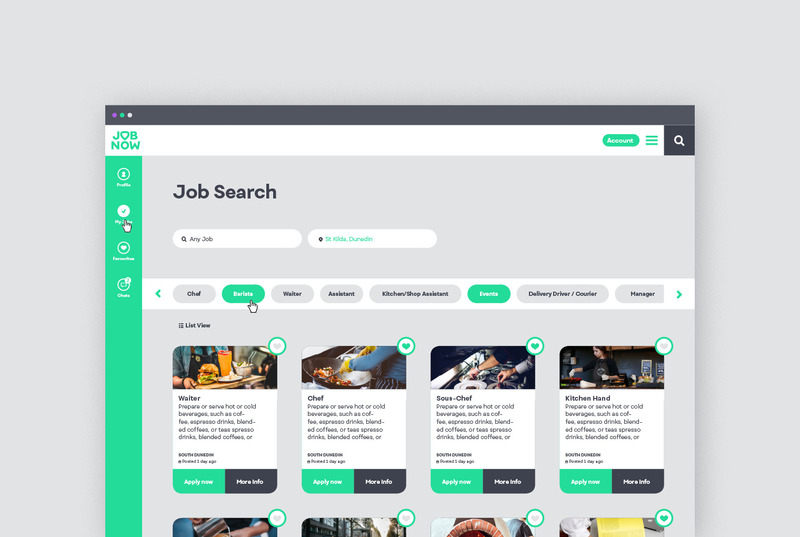 The platform’s chat feature and simple interface make it easy for the employer to contact the candidates and to ensure they get all the required information before they commit to a job interview. 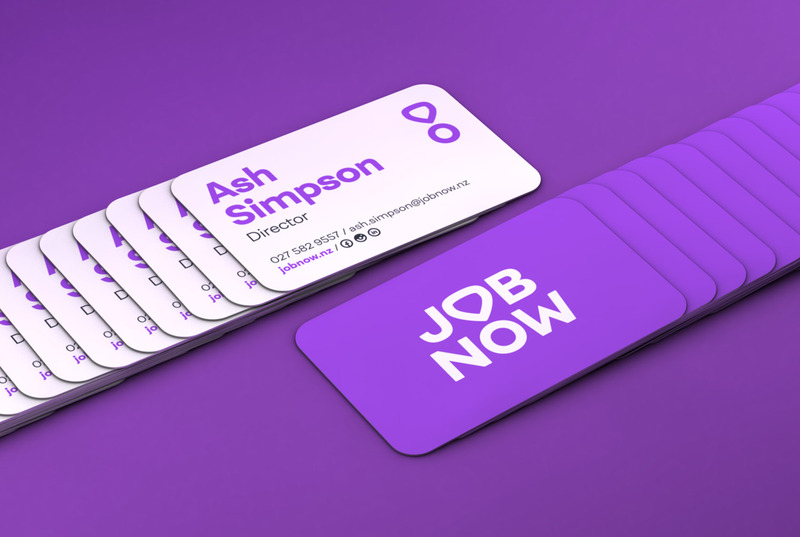 The brief: Create a young and straightforward brand identity which works on a wide range of touchpoints online and offline. 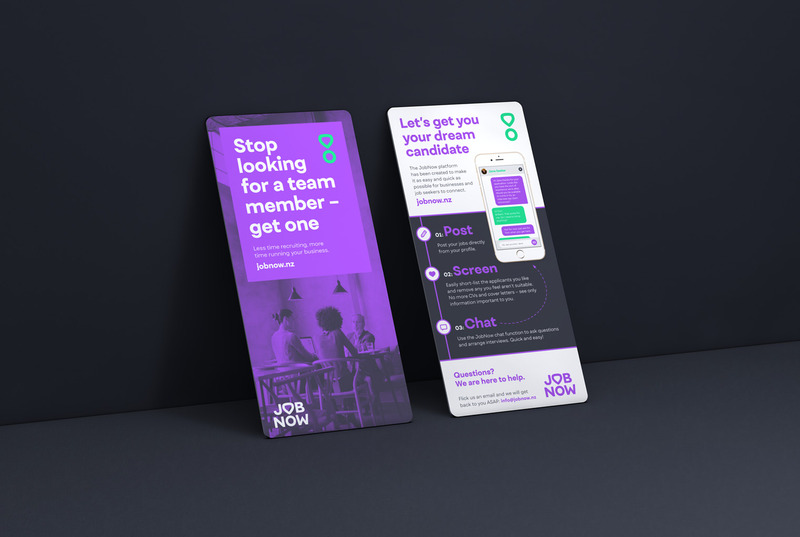 Besides business cards, rack cards, pull up banners and merchandise – the website is the most important part of the business and needs to be the main focal point. 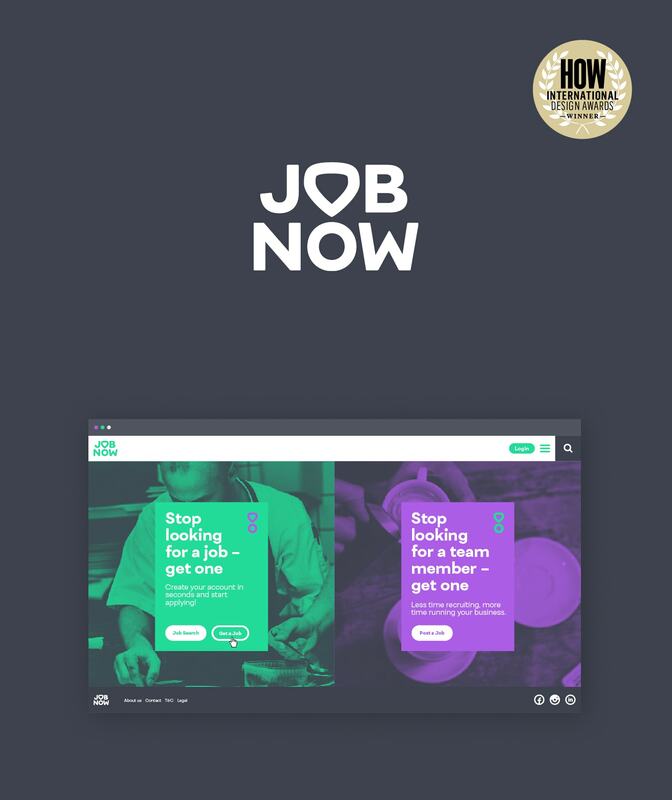 Start with an MVP (minimum viable product) mobile-friendly web app, but design the website elements so it allows for the fast future development of the JobNow platform. 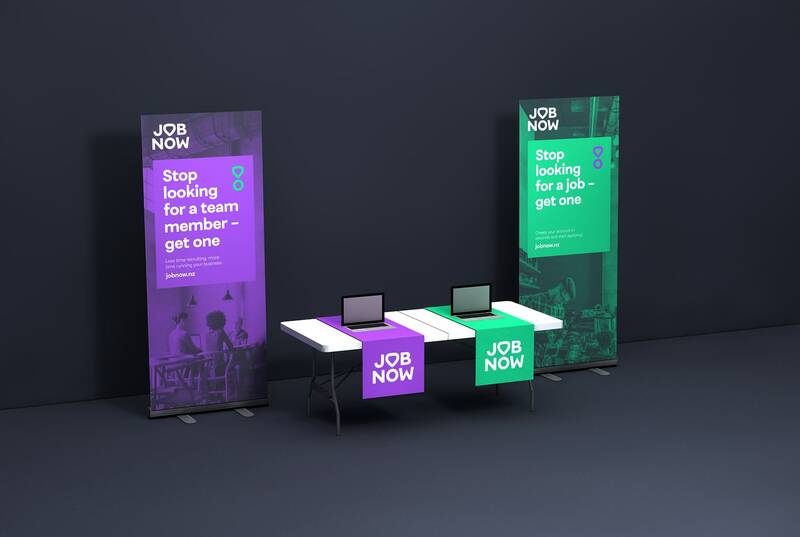 Our solution: To reach JobNow’s young and tech-savvy target market we created a brand using bold and vibrant colours combined with fun and engaging headlines. 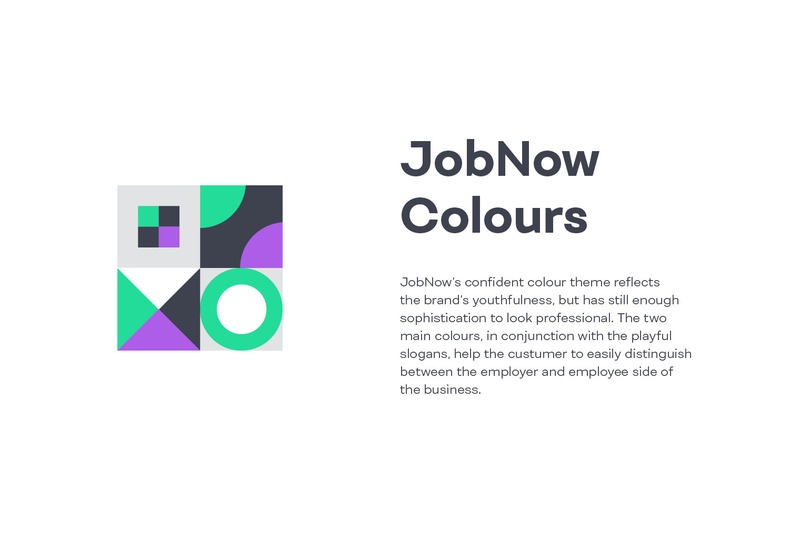 Two separate colour themes divide the main sectors into candidates and employers. 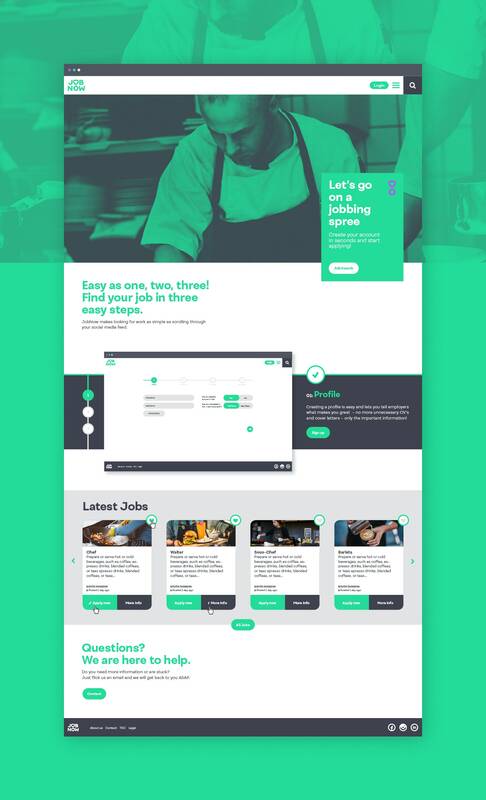 Making it easier to navigate the website and also distinguish between the various offline touchpoints. 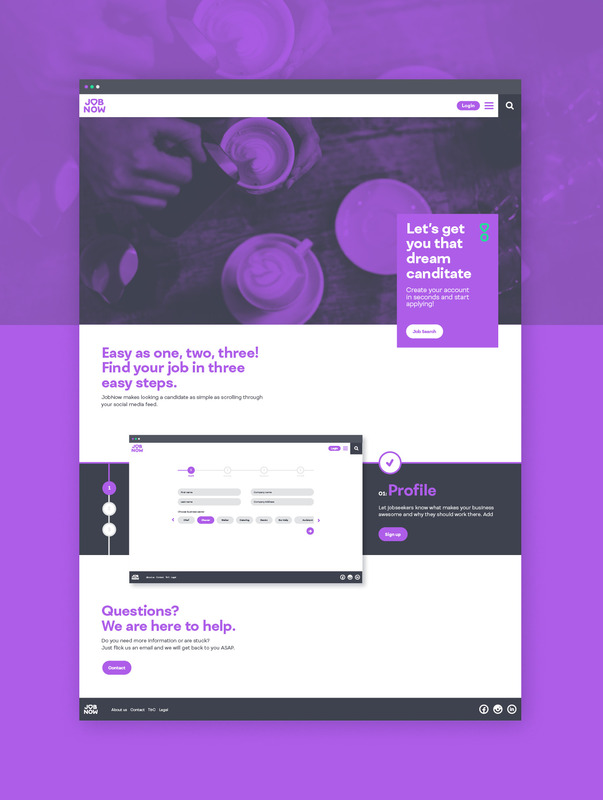 The simple wordmark, including the exclamation mark icon, guarantees readability even at small sizes like app icons and favicons. 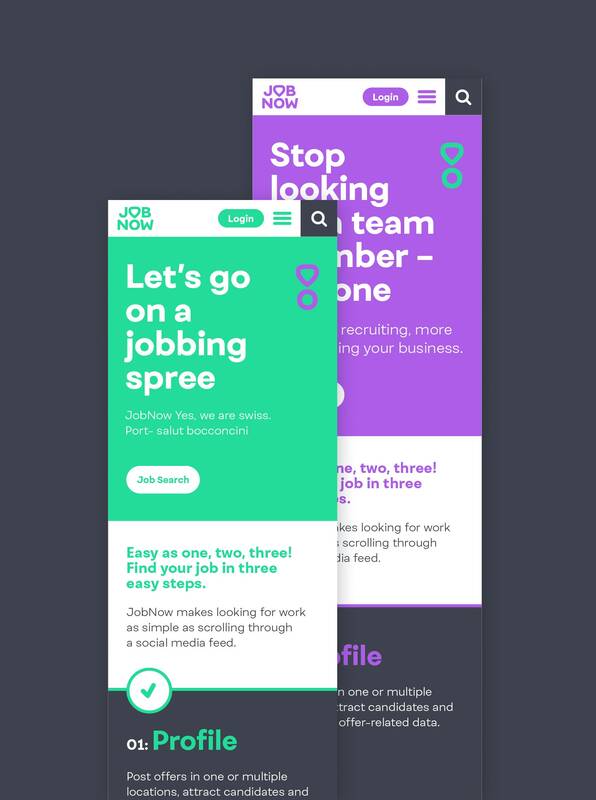 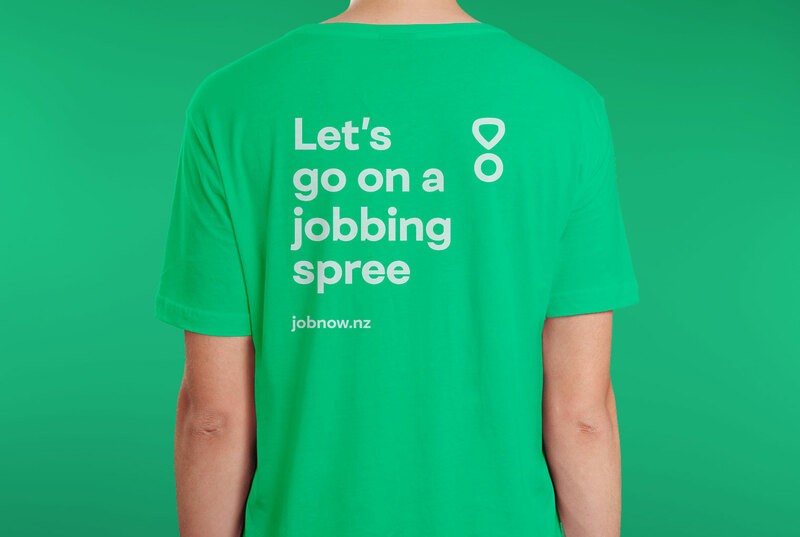 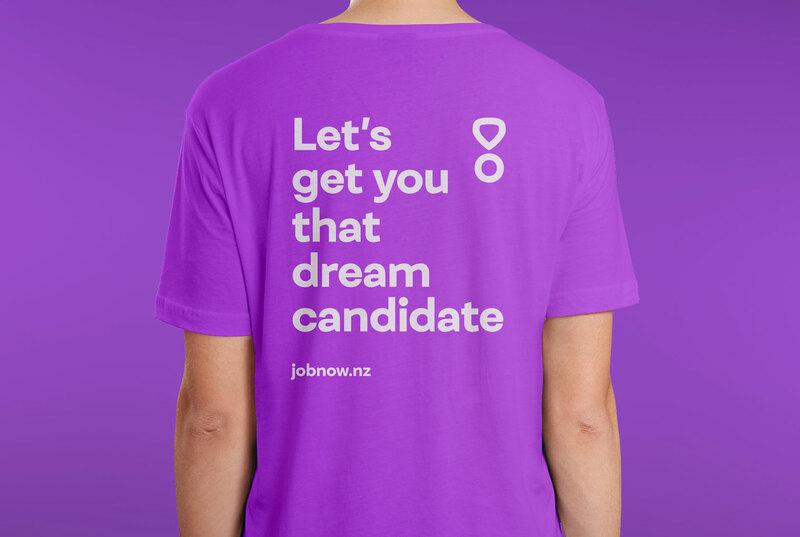 We used the exclamation mark icon as a secondary brand element and combined it with the brand’s headlines to give JobNow a point of difference.